Feel like you don’t have time to squeeze breakfast into your hectic morning? With this list of 15 healthy breakfast smoothies and delicious smoothie bowls, breakfast can be quick, convenient, delicious. Each of these breakfast smoothies is made with Shakeology to provide your daily dose of dense superfood nutrition, with protein and fiber to give you the fuel you need to start the day strong! 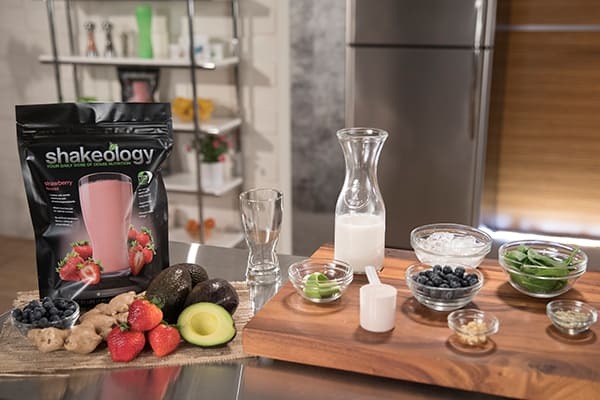 To make Shakeology part of a complete breakfast, these recipes include a bevy of good-for-you ingredients like leafy greens, fruit, all-natural nut butters, creamy Greek yogurt, and more. Try some of our favorite flavor combinations, or use these ideas to inspire your own signature breakfast smoothie recipe. 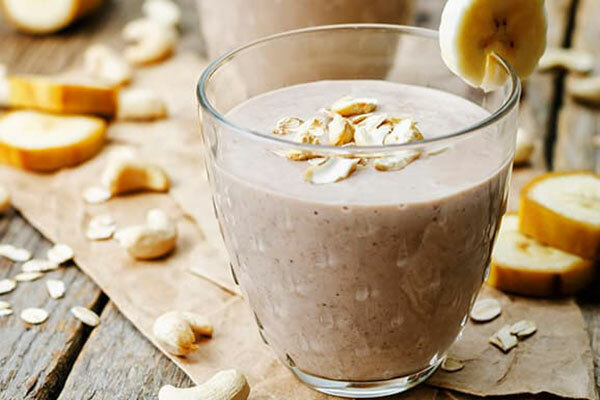 This Banana Cashew Latte Shakeology smoothie combines elements of a delicious breakfast into a single smoothie that can even take the place of your morning cup of joe. 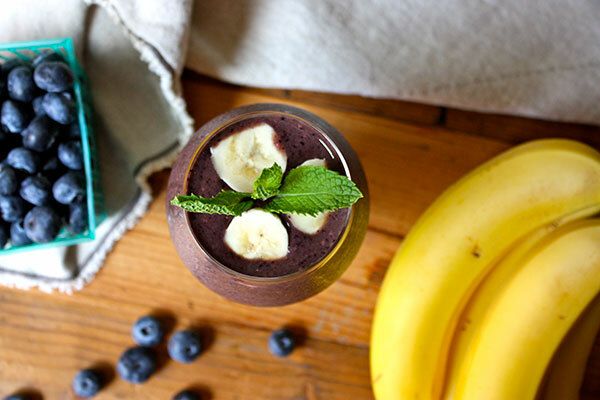 Rise and shine with this Blueberry Sunshine Shakeology! Nutritious blueberries, ripe banana, and creamy Chocolate Shakeology help you point your day in the right direction. Fruit smoothie bowls are great, but what makes them extra special are the toppings. We made our Raspberry and Oats Smoothie Bowl with creamy Vanilla Shakeology and decorated it with fiber-filled oats, chia seeds, and pumpkin seeds. You can customize your smoothie bowl with other seeds and your favorite flavor of Shakeology. 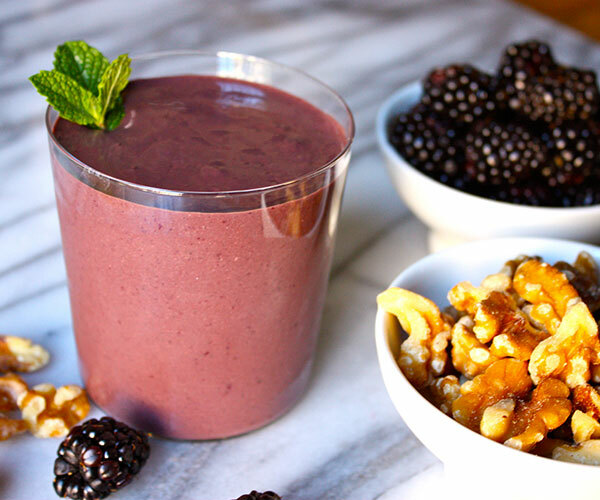 Juicy blackberries give this Blackberry Walnut Chocolate Shakeology distinctive flavor and extra fiber, and a generous serving of walnuts adds healthy fats to help you feel satisfied all morning. 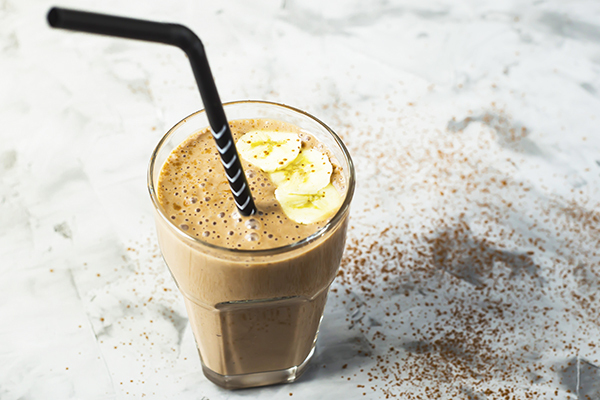 One of our most unusual shake recipes is actually one of the most delicious. 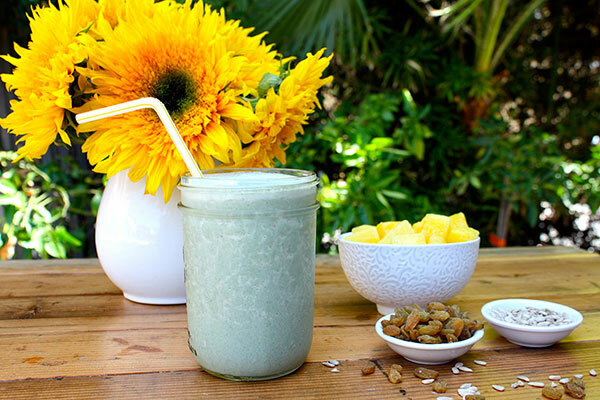 The sunflower seed kernels and juicy pineapple in this Sunflower Shakeology smoothie are an unexpected pairing that yields delightful results. *Not all Shakeology flavors may be available in your market. 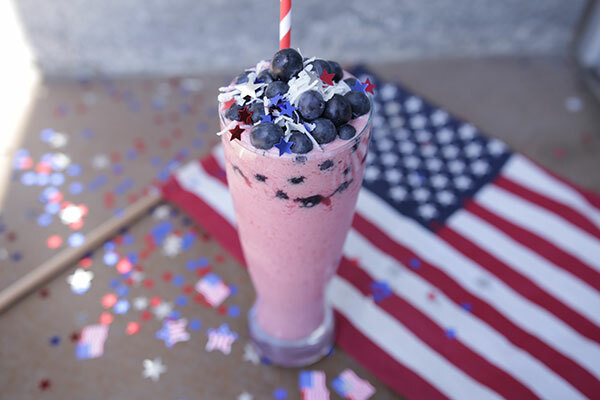 Even our founding fathers couldn’t have resisted this delicious, healthy breakfast shake. This Berry Coconut Shakeology features unsweetened shredded coconut, two types of berries, and creamy almond milk. Blueberries, spinach, avocado, ginger, hemp seeds… this Avocado Ginger Shakeology smoothie has so many good things in it! Together, the combination is surprisingly delicious. 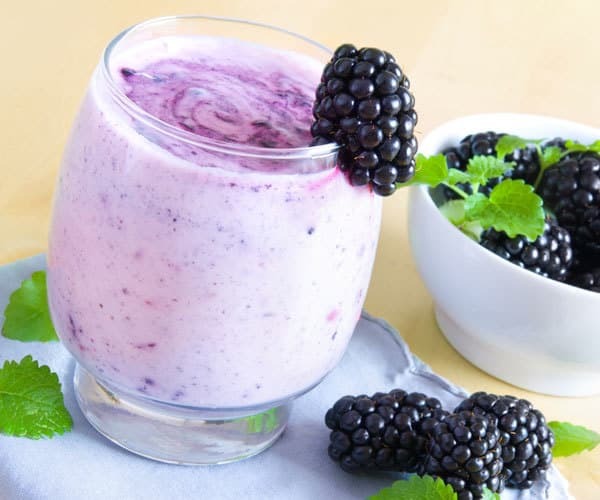 This Greek Islander Shakeology smoothie’s vibrant color comes from a Mediterranean-inspired blend of pomegranate juice and blackberries. When you’ve just gotta have peanut butter, skip the not-so-healthy candies and make this Nutty Butter Shakeology instead! 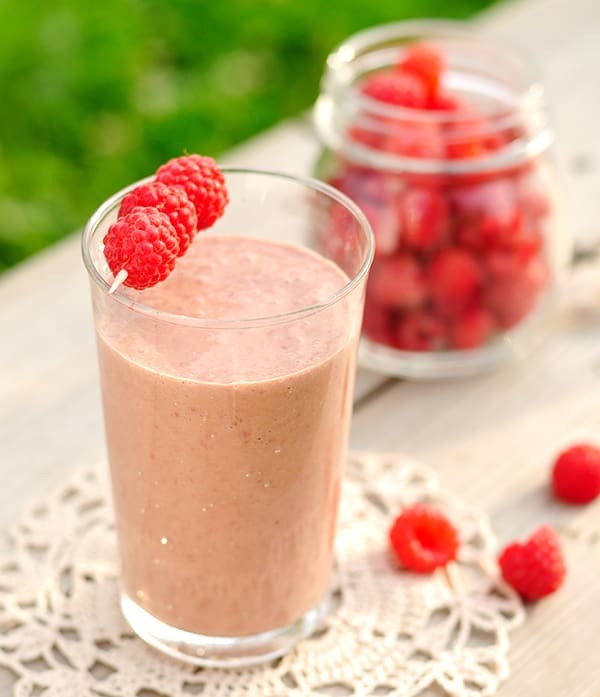 Ricotta and yogurt give this shake creaminess and cheesecake flavor and raspberries add fruity sweetness, making this Chocolate Raspberry Cheesecake Shakeology smoothie a guilt-free, decadent way to feel good about your nutrition! 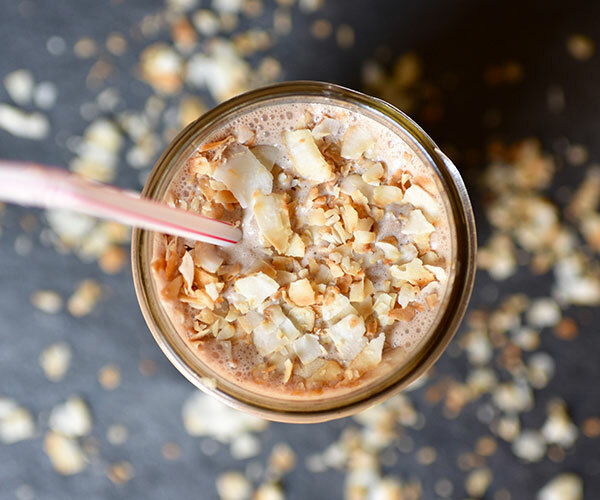 This rich Chocolate Almond Spice Shakeology smoothie has almonds, almonds, and more almonds, with nutmeg (or cinnamon) and a hint of maple flavor. 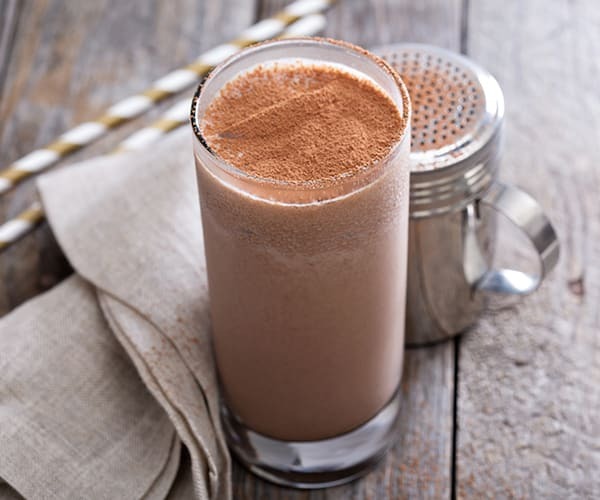 Blend them together with Chocolate Shakeology, and you’ll have a five-star shake. 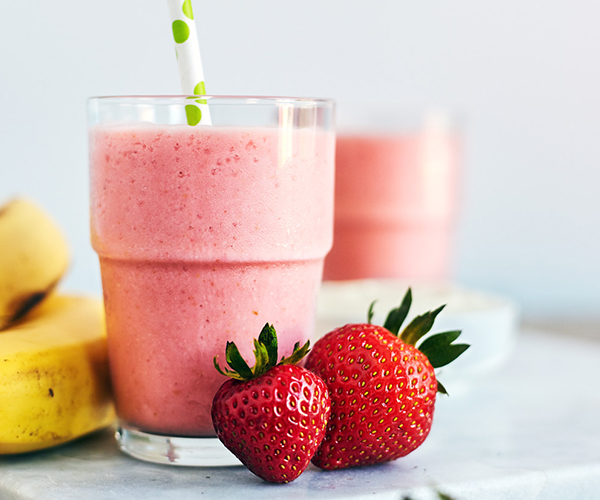 We combined sweet Strawberry Shakeology and a full serving of Greek yogurt to give this Greek Strawberry Banana Smoothie extra protein. 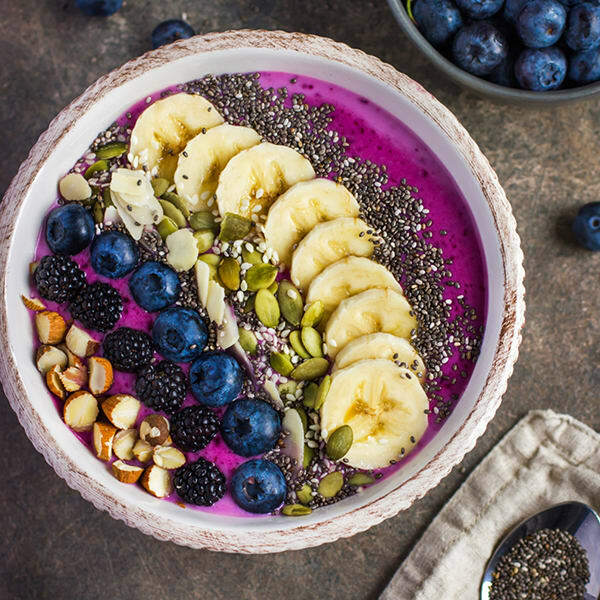 Brighten up your morning — and Instagram feed — with this gorgeous Banana Berry Smoothie Bowl. With the creamy texture of ice cream and an array of colorful toppings, this tempting breakfast smoothie bowl tastes as good as it looks. Sneak one cup of your favorite leafy greens (or even your least favorite, because you’ll never taste it!) 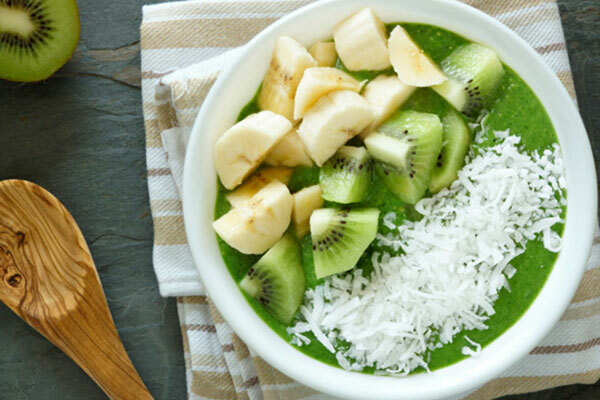 into this vibrant Glowing Green Smoothie Bowl and top with sweet ripe banana, coconut, and some fresh kiwi to round out your healthy breakfast. Forget limited-edition cafe beverages with way too many calories and far too much sugar. 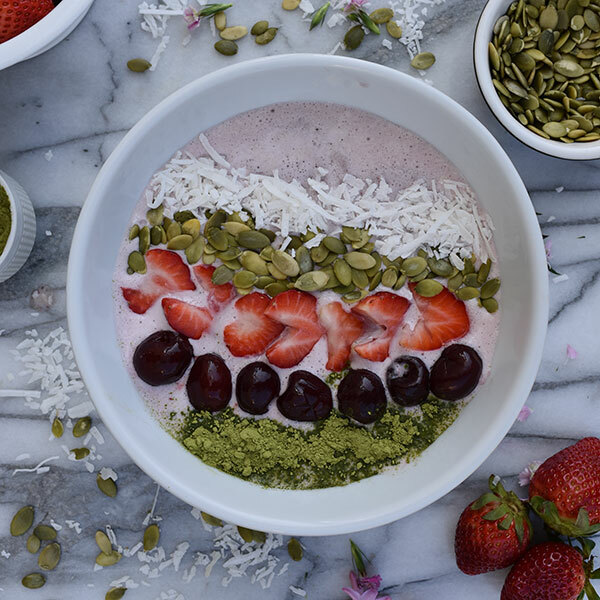 This Cherry Blossom Smoothie Bowl is a healthier way to address the day. Plus, unlike the original, this blended breakfast actually contains cherries!